Transjordan comprised about 80% of the area of Palestine that was mandated to the British in 1920. It became an autonomous state under Emir Abdullah in 1923, though remained under British supervision. Emir Abdullah chose Amman as the capital, and built the Raghadan Palace in the mid-1920s on the hill east of the Citadel. He presented a site in this royal compound to the British resident and a residency was completed on it in 1928. Transjordan achieved full independence in 1946: the emir became the king, and the name of the country changed to the Hashemite Kingdom of Jordan. Upon independence, King Abdullah presented the former residency to Britain as the residence of the minister (ambassador from 1952). Some vacant land on which to build two staff houses was presented at the same time: a first secretary house was completed here by the Office of Works in 1950 but the second secretary house that was to follow never materialised. By 1964, the proximity of the embassy houses to the royal palace was presenting security risks, and soon afterwards the residence could only be reached by passing through a military picket. The Jordanian government considered offering a site and building a new residence on it but nothing transpired. The Six Day War in 1967 precipitated the ambassador and counsellor into an hotel, and the search for an alternative residence began in earnest. It alighted upon a recently-built house in Jebel Amman belonging to Haider Shukri, co-owner of the Cairo Amman Bank, on Zharan Street, between 3rd and 4th Circles. 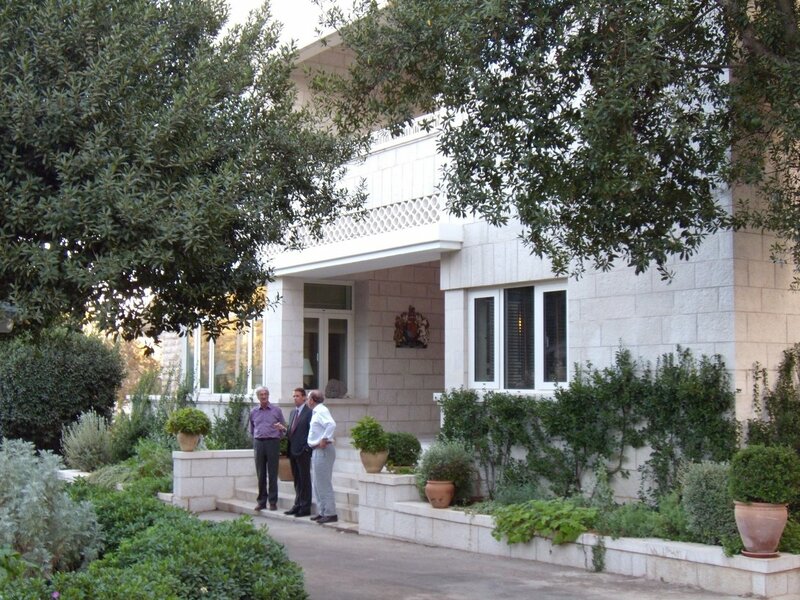 The Jordanians negotiated to acquire this house, plus an adjoining piece of land on which a pool and tennis court could be built, as well as the so-called Mufti house at Muhafazet (which was already being leased for the counsellor), in exchange for the two properties in the royal compound. These arrangements were completed in April 1970: there was a rush at the end because Crown Prince Hassan had become engaged and was anxious to move into the former residence quickly. 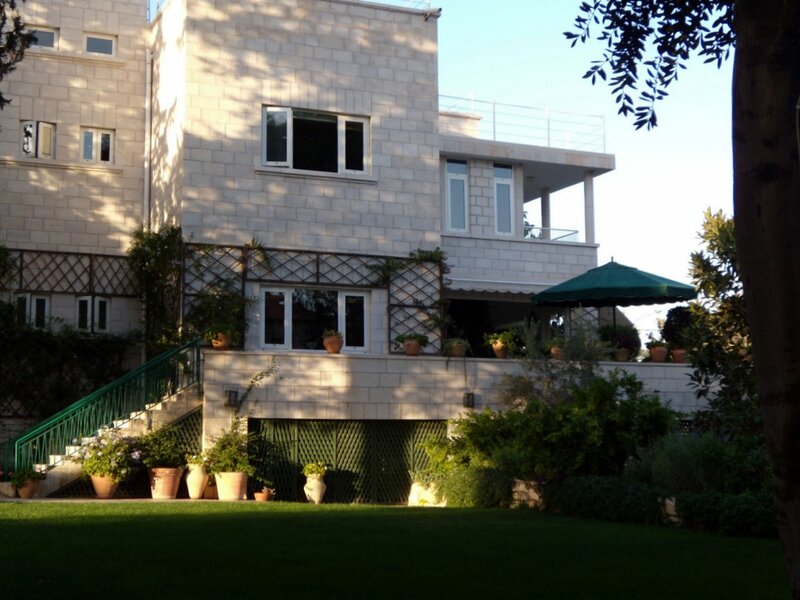 At the Shukri House, the pool and court were subsequently built to help create what remains today a presentable and efficient residence in an ideal location. 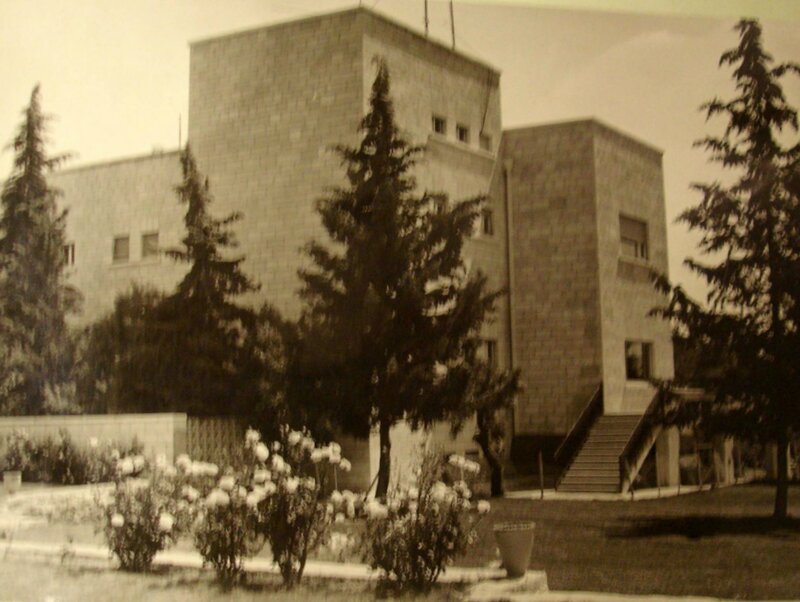 Most of the embassy offices, and some staff flats, from at least 1963 were leased in the Hudhud building, on 3rd Circle: the commercial offices were in King Hussein Street. The physical security threat to the Hudhud building was becoming intolerable by the early 1980s and a site of about 1.8 hectares was bought in 1984 in Abdoun for about £1.4m on which to build new embassy offices as a matter of urgency. They were designed by FCO architects and Percy Thomas Partnership to a very high physical security specification as a testbed for what was thought might need to become standard practice (but fortunately never did). The FCO project manager was Clive Newey, a senior structural engineer and the designer of the vehicle barriers that bear his name and the standard railings known as Delhi railings. The offices were built by Keir International Ltd, at a cost of nearly £5m: they were opened by Crown Prince Hassan on 16 December 1987. Severe constructional shortcomings became apparent over the next few years but were eventually overcome. The offices occupied just over half the site: the remainder was walled but lay undeveloped until it became certain that the residence would remain where it was. Then an amenity centre, with pool, court and clubhouse, was completed on the spare land in 1990, enabling the former amenity site (at plots 311-312 in the Western al Malfouf district, bought 1966) to be sold, and later complemented with a sports pitch. Additional visa accommodation was added in 1997 and 2007.